The judgment of Hon’ble National Company Law Appellate Tribunal (NCLAT), dated 29 August 2017, in M/s Annapurna Infrastructure Pvt. Ltd. & Anr. v. M/s. 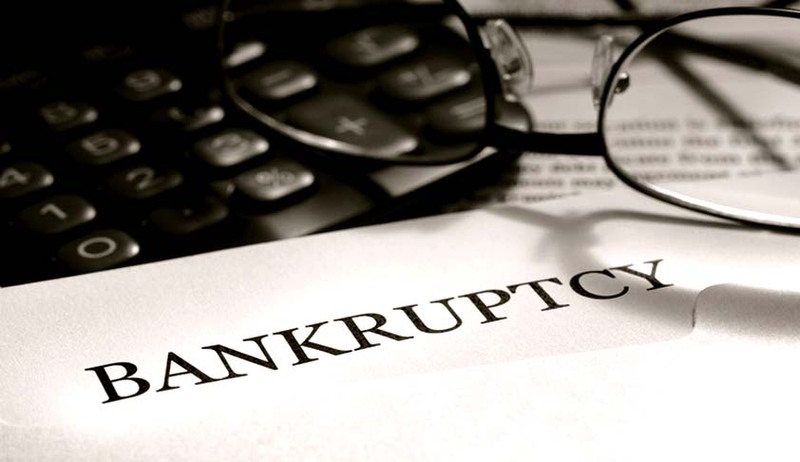 SORIL Infra Resources Ltd., has thrown up some intriguing questions on the interplay between the Insolvency and Bankruptcy Code, 2016 (IBC) and the Arbitration and Conciliation Act, 1996 (A&C Act). Under IBC, an operational creditor can initiate the corporate insolvency resolution process (CIRP) of a corporate debtor under Section 9 for non-payment of an ‘operational debt’. However, the operational creditor must first issue a demand notice or invoice on the corporate debtor under Section 8(1) of IBC (Demand Notice) and the CIRP application of the operational creditor can be defeated if the corporate debtor has brought to the notice of the operational creditor, “existence of a dispute” between the parties and “record of suit or arbitration proceeding pending before receipt of the demand notice” under Section 8 (2) of IBC. The NCLAT ruling discusses two issues. Firstly, whether there is an “existence of a dispute” in case the arbitral award has been affirmed by the court under Section 34 of the A&C Act. Secondly, whether pendency of proceedings for execution of an arbitral award can defeat Section 9 application of an operational creditor under IBC. Disputes arose between Annapurna Infrastructure Pvt. Ltd. (Annapurna) and SORIL Infra Resources Ltd. (SORIL) relating to non-payment of rent by SORIL (the lessee) to Annapurna and others (the lessors). Arbitration clause in the lease deed between the parties was invoked and an arbitral award was passed in favour of Annapurna and others. The arbitral award was challenged by SORIL in an application under Section 34 of the A&C Act, which was dismissed by the Hon’ble High Court of Delhi (Dismissal Order). Soon thereafter, the award holders, which included Annapurna, issued Demand Notices on SORIL under Section 8 (1) of IBC as operational creditors of SORIL, demanding the amounts stated in the arbitral award. A reply was issued by SORIL under Section 8 (2) of IBC, stating that there is an “existence of dispute” between the parties, principally on the ground that an appeal under Section 37 of the A&C Act had been filed and was pending against the Dismissal Order. It may be noted that the appeal against the Dismissal Order was filed by SORIL only after receipt of the Demand Notice but before the reply was issued (but the same was within the limitation period for filing appeal against the Dismissal Order). It was also pointed out in the reply that execution proceedings to recover the award amount were pending. Subsequent thereto, Annapurna and others filed a Section 9 application under IBC before the Learned National Company Law Tribunal, Principal Bench, New Delhi (Adjudicating Authority), seeking initiation of CIRP of SORIL. The Adjudicating Authority dismissed the Section 9 application on the ground that a dispute between the parties had already been subject to arbitration, which had yet to attain finality (as the appeal against the Dismissal Order under Section 37 of the A&C Act was still pending). The Adjudicating Authority also observed that as execution proceedings had already been initiated, a party could not invoke more than one remedy simultaneously and indulge in forum shopping. On appeal, NCLAT overruled the decision of the Adjudicating Authority on the ground that the Adjudicating Authority had arrived at an erroneous conclusion regarding “existence of dispute”. NCLAT observed that the language in Part V of Form 5 of the Insolvency and Bankruptcy (Application to Adjudicating Authority) Rules, 2016 includes an order of an arbitral panel adjudicating on the default under the heading “Particulars Of Operational Debt [Documents, Records And Evidence Of Default]”. On this basis, NCLAT opined that an arbitral award has been specified as a document which can evidence debt and non-payment of the awarded amount amounts to 'default' of the debt. NCLAT further opined that under Section 8 (2) of IBC, while pendency of “arbitration proceedings” has been included as “existence of dispute”, pendency of an application under Section 34 or Section 37 of the A&C Act has not been included as “existence of dispute”. Quoting various authorities on arbitration, NCLAT added that arbitral award reaches finality after expiry of time allowed for filing an application under Section 34 of the A&C Act or if application under Section 34 is filed and rejected. Basis this, the NCLAT held that pendency of the appeal by SORIL against the Dismissal Order under Section 37 of the A&C Act would not constitute an “existence of a dispute” between Annapurna and SORIL. Thus, NCLAT made a distinction between pendency of arbitration proceedings (which could imply existence of dispute between the parties under IBC) and pendency of an appeal under Section 37 of the A&C Act (which could imply that there is no existence of dispute). It may be added that the NCLAT order is unclear on whether pendency of a challenge by the corporate debtor to the arbitral award under Section 34 of the A&C Act would amount to “existence of dispute”. This confusion arises because in one paragraph of the judgment, NCLAT states that pendency of an application under Section 34 or Section 37 of the A&C Act has not been included as “existence of dispute”, thereby according equal treatment to an application under Section 34 and an appeal under Section 37 of the A&C Act. However, on perusal of rest of the judgment and in light of NCLAT’s observation that arbitral award reaches finality after completion of Section 34 process, it appears that the NCLAT order was really dealing with pendency of an appeal under Section 37 of the A&C Act (and not an application challenging the arbitral award under Section 34 thereof). Further, after discussing the object of IBC, NCLAT held that CIRP under IBC is not a suit for recovery or a suit for execution of any decree or award, and therefore, the finding of the Adjudicating Authority on the question of alternate remedy was not based on any sound principle of law. Therefore, as per NCLAT, pendency of proceedings by Annapurna for execution of the arbitral award would not bar its application under Section 9 of the IBC. Allowing the appeal by Annapurna, NCLAT has remanded the matter to the Adjudicating Authority to decide the other question left open viz whether the applicants were ‘operational creditors’ of SORIL and, if yes, whether the application is complete as per requirements of IBC. However, the Adjudicating Authority may also have to address one additional issue, which arguably could have been determined by the NCLAT itself – whether the application was even maintainable in the first place, having been jointly filed by operational creditors, which has been held to be impermissible by NCLAT in Uttam Galva Steel Limited v. DF Deutsche Forfait AG & Anr. In Kirusa Software Private Limited vs Mobilox Innovations Private Limited (Kirusa v Mobilox), NCLAT had held that the scope of “existence of a dispute, if any” in Section 8(2)(a) of IBC cannot be confined to suit and arbitration proceedings only. Further, “dispute” should be raised prior to receipt of Demand Notice and must be relatable to one of the three conditions stipulated in Section 5(6) of IBC viz. amount of debt, quality of goods or service or the breach of a representation or warranty. Interestingly, NCLAT also held that the dispute must be raised in a court of law or authority or proposed to be moved before a court of law or authority and not be any “got up or malafide dispute just to stall the insolvency resolution process”. Therefore, as per NCLAT, pendency of suit or arbitration proceedings is not the only way of disputing the debt. Recently, the Hon’ble Supreme Court in its seminal judgment rendered in M/s Innoventive Industries Ltd. vs. ICICI Bank & Another, while distinguishing the provisions of Section 7 and 8 of IBC held that the application filed by an operational creditor will become inadmissible if the corporate debtor brings to the notice of the operational creditor, the existence of a dispute or the record of the pendency of a suit or arbitration proceedings, which is pre-existing. If we take SORIL’s case, after passing of the arbitral award, SORIL filed an application under Section 34 of the A&C Act, which was dismissed. Before the limitation period for filing of appeal expired, it received the Demand Notices under Section 8 of IBC. However, by the time it issued its reply, an appeal under Section 37 of the A&C Act had already been filed and was pending. This shows that SORIL was in fact continuing to dispute the operational debt qua Annapurna. Can the debt under an arbitral award be undisputed if the corporate debtor is pursuing an appeal under Section 37 of the A&C Act? In other words, wouldn’t the appeal filed under Section 37 be akin to suit or arbitration proceedings and, following NCLAT’s interpretation in Kirusa v Mobilox, amount to existence of dispute? How should a party like SORIL, against which an adverse arbitral award has been passed, safeguard itself from the perils of being put into CIRP even before it has got a full and fair chance to ‘’dispute” the arbitral award, which constitutes the basis of the debt? Would pendency of a challenge to an arbitral award under Section 34 of the A&C Act amount to “existence of dispute” as, on the one hand, NCLAT has held that an arbitral award becomes final after expiry of time allowed for filing an application under Section 34 or if such application is rejected, while on the other hand, NCLAT has observed at one point in the judgment that pendency of an application under Section 34 or appeal under Section 37 of the A&C Act cannot be termed as “existence of dispute”? If soon after an arbitral award is passed, the award holder issues a Demand Notice under Section 8 (1) of IBC, does it mean that the corporate debtor has no option of demonstrating an existence of dispute, even if it is in the process of challenging the award within the limitation period? Wouldn’t this amount to giving the provisions of the A&C Act, particularly Sections 34 and 37, a go by, apart from leading to anomalous outcomes? What if CIRP against the corporate debtor is initiated on the basis of an arbitral award but subsequently, the award is set aside in an appeal filed by the corporate debtor? While there is no disputing the fact that stricto sensu “arbitration proceedings” refer to proceedings before the arbitrator, which commence under Section 21 of the A&C Act and terminate with passing of the final award under Section 32 thereof, is there a possibility of interpreting “arbitration proceedings” under Section 8(2)(a) of IBC widely i.e. to include the entire gamut, including the court proceedings in relation to arbitration proceedings (as has been done by the Hon’ble High Court of Delhi in Ardee Infrastructure Pvt. Ltd. v. Anuradha Bhatia, in the context of the enigmatic Section 26 of the A&C Act). Wouldn’t such an interpretation be more in line with the essence of Kirusa v Mobilox? Last but not the least, are we staring at a possible conflict between IBC and the A&C Act and, if so, what would be the implications of the non-obstante clause in Section 238 of IBC. In Innoventive case, the Hon’ble Apex Court, while addressing an argument that IBC could not interfere with vested rights, observed that the said non-obstante clause is in the widest terms possible so that any right of the corporate debtor under any other law cannot come in the way of IBC. Needless to state, answers to these questions shall contribute to the fast evolving jurisprudence surrounding IBC.